Use the Accent Wagon Display for merchandise or if you prefer for decoration. 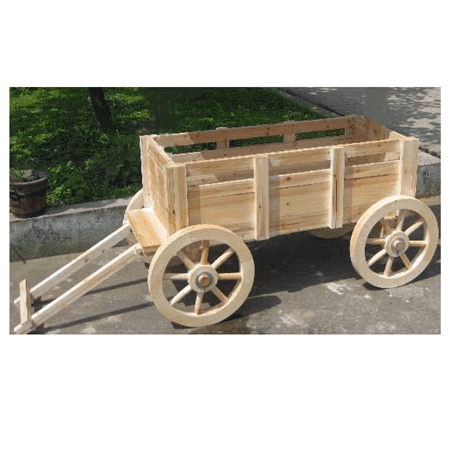 Constructed to support more weight the wood wagon display is sturdy and reliable. A wood wagon can be transferred from one place to another easily with true working wheels. 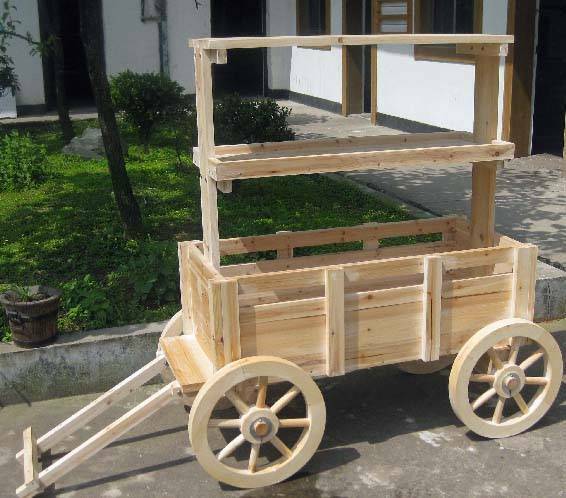 Catch the eye of your customers with your display of goods on this wooden wagon. 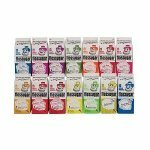 Do not delay, place your order today! Working wheel with true spokes to enable easy movement of the wagon and transport it anywhere in your showroom. The wagon is constructed with glue and wood screws to strengthen weight holding capacity. The turning spoke wheel is made of solid hardwood 2" thick, bolts and nuts attach the wheels through the cart. Three Panel Bamboo Divider - 54 in.